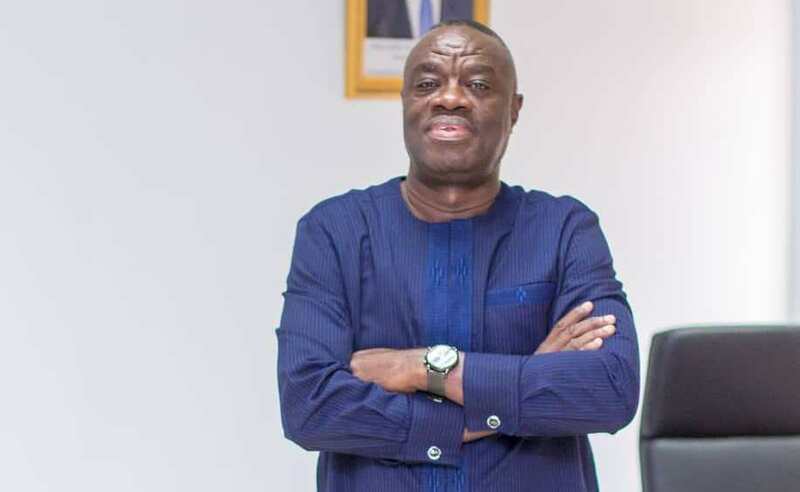 The Business Development Minister, Dr. Ibrahim Awal Mohammed, has underscored the need for journalists to see journalism as a noble profession. Speaking at the launch of the 60th anniversary of the Ghana Institute of Journalism (GIJ), and the Endowment Fund, the Minister said, journalism is a noble profession and must impact society positively. He admonished journalists not to see themselves as ordinary reporters but as agents of change and development. Recounting his early days a journalist, the minister said he had to report on a glaucoma story, which affected a community with about 250 residents in the Northern region, his home region. The story he noted broke and the impact was enormous because support came from different places and those affected were cued. He further asked journalists not to follow the bandwagon but show commitment, be passionate, never give up because society will reward their hard work. He used the occasion to also admonish the management of the school to review its curriculum to meet the demand of society. According to him, journalism has moved beyond reporting hence the need for journalists to be part of the agenda to move Ghana beyond aid. Social media he said has become very important for development, and so, the school must review its activities to meet this change. Touching on the endowment fund, he appealed to past students of the school to support the fund. He personally donated GHc50,000 and has pledged to support the fundraising exercise. The fund, which was launched alongside the anniversary, will help train journalists and media practitioners to meet the needs of industry and society as a whole. The event was under the theme: ‘‘Celebrating our past; Inspiring our Future’’. The Ghana Institute of Journalism, formerly The Ghana School of Journalism, was officially opened on Monday, 16th October, 1959, by the then Minister of Information and Broadcasting, Mr. Kofi Baako. Initially a department of the Accra Technical Institute (now Accra Polytechnic), the school had as its first principal and journalism tutor, Mr. Richard McMillan, then retiring as Director of British Information Services in Ghana. In 1966, the school moved to the present site which used to house the Ghana Press Club. Over the years, the Institute has undergone significant changes, and owes its current tertiary status to the following legislative instruments. a) To train young men and women in the skills and techniques of journalism, mass communication, advertising and public relations. b) To organise classes, lectures, seminars, demonstrations, experiments, researches and practical training in all aspects of journalism and mass communication. For several decades these objectives served as the Institute’s core functions in training and awarding diplomas and certificates in communication studies. The Parliament of the Fourth Republic and the President enacted the Ghana Institute of Journalism Act, 2006 (Act 717) to transform the Institute into a degree-awarding tertiary institution. Subsequently, the President granted a Charter to enable the Institute award its own degrees, diplomas and certificates for programmes accredited by the National Accreditation Board. This certificate was assented to by the President in August 2006, with a Gazette notification on 1st September 2006. The Ghana Institute of Journalism has now become a fully fledged communication training institution with the status of a university. As public policy demands, the Institute has now been placed under the Ministry of Education, and it is now directly under the National Council for Tertiary Education (NCTE). GIJ has embraced the responsibilities and challenges presented by its new tertiary status, and continues to fulfil its mission to serve the needs of students, the media industry and society.